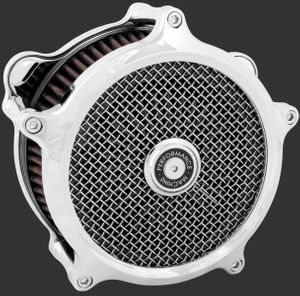 The Super Gas Air Cleaner features a versatile design that accepts interchangeable faceplates design matched to Performance Machine wheels. A K&N Filter behind a stainless steel wire mesh screen allow high volume air flow resulting in increased horsepower. 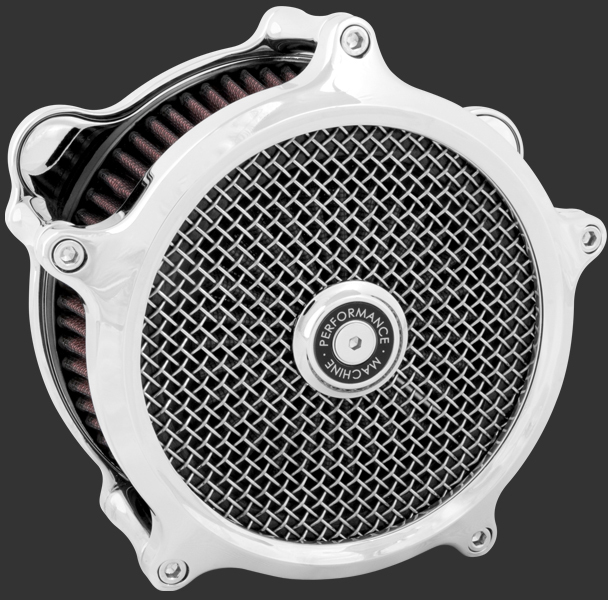 The Super Gas Air Cleaner is CNC-Machined from billet aluminum with built-in crank case breathers and comes with chrome hardware. Universal Air Cleaners and Faceplates are available in Chrome and Contrast Cut finishes.